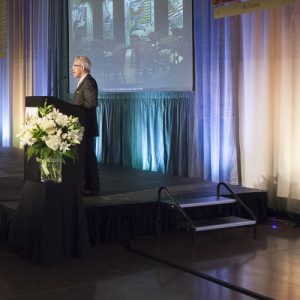 CPN Audio Visual can take your event to the next level with podiums, staging and stanchions. We have a variety of podiums for all types of event or personal style to make you comfortable in front of your audience. Our stages are modular and can be configured for any environment. We can also provide stanchions establish the boundaries of your event helping keep your guest close to the action and involved. We can provide stage platforms and stage equipment in any configuration large or small. Stage Platforms come in 8″, 10″, 16″ and 24″ height options with step stairs. Two-step stairs with or without hand rails are available. We use Wenger stage platforms that are sturdy, reliable, and constantly maintained to meet safety regulations. Our stage equipment comes in modular pieces allowing us to custom fit a stage of appropriate size and height for your event needs. All stages come with black pleated skirting to be more attractive and unobtrusive. Check out the stage size and layout guides for ideas or contact us for assistance. 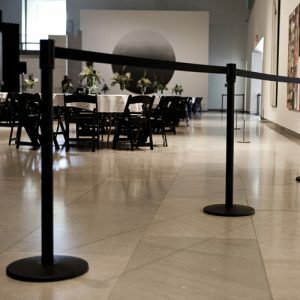 Stanchions provide crowd control and direction for event attendee flow and can be rented for daily use. We use premium, formal, Tensabarrier® stanchions available in black 7ft retractable lengths. With over 250 stanchions in our inventory we can handle any size crowd control. Discounts apply for weekly or monthly use at your facility. All of our stanchions are in good condition and well maintained. CPN always incorporates the necessary safety accessories required for event safety in the audio-visual environment. Cable ramps, safety cables, spike tape, saddle sandbags, stanchions are just a few of the items that we will use to keep your event safe. We will ensure your event is safe before your guests arrive so you can execute in complete safety. Based in Phoenix AZ, CPN is a local audio visual event service and production company. We provide av rental services; including event audio, video, lighting, stages, podiums, projectors, mobile office equipment, stanchions, and av technical services; to the areas in and surrounding Phoenix, Scottsdale, Mesa, Tempe, Glendale, Chandler, Gilbert etc. Available at a moments notice, contact us now! © 2018 CPN Audio Visual, Inc. All Rights Reserved.